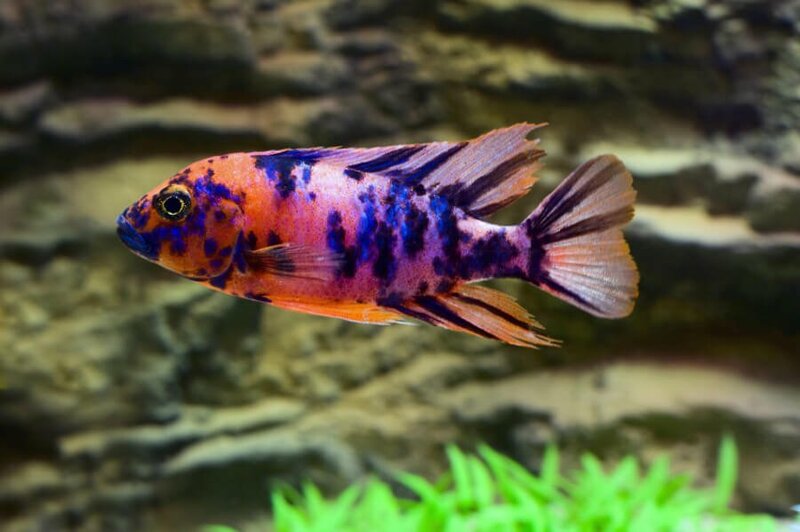 Also see our post about the symptoms of aquarium fish diseases here! Bacteria and viruses are usually always present in the aquarium water. Parasites or disease causing bacteria can either be dormant, or imported into the aquarium by “hitchhiking” on fish, plants, and even food. Healthy fish have a strong resistance toward illness. Much like the human immune system. When we are strong and proactive, our bodies naturally fight disease before it strikes. Signs that the fish might be sick include clamped fins, irregular behavior, darting, smashing into things, loosing weight, fading color, and floating. All of these are warning signs. Some parasites can be seen. Worms attached to fish (anchor worm), or burrowed and moving just beneath the skin (argulus/ fish lice). Symptoms of other parasitic diseases appear as a grey film (costiasis) or cotton like growth (columnaris) on the fish. Both of which indicate a bacterial infection. A loss of appetite usually occurs when a disease is in its final stages. Start treatment of sick fish without delay. Your local retailer can help you find an appropriate treatment and also advice if the whole tank should be treated or just the affected fish. With all infectious diseases, a hospital or quarantine tank is highly recommended. We intentionally prioritize balancing the aquarium over treating the affected fish. Of course you should not let any significant time lapse when medicating the fish. However since it is likely that poor water conditions are what weakened the fishes’ immune system to begin with, it is essential you provide a healthy environment for recovering fish. Healthy aquarium water is also the most effective tool in disease prevention. Most outbreaks can be directly linked to deteriorating water conditions.